“Coco” indulges its distinctive narrative style with its shrill animation and the deeply moving story. Although the studio has great films like “Up” and “Inside Out”, the film proves that the studio still has a lot more stories to tell effectively. The title itself is the most interesting part of the film. The final twist is literally heart-touching and it is the real reason why “Coco” needs to be considered as one of the best outcomes came out of Disney-Pixar studio. Family is not a small word. It can be the mightiest word, if we honor the religions, cultures and traditions of all kinds of people. Life comes to death and death comes to new life. In this whole cycle, what remains forever is our soul. As it remains alive in the memories of our family. Since a decade, Disney-Pixar has been teaching us so many lessons of life. With this 19th film, studio is diverting toward the cordial subject of family bond. It reminds us the values of togetherness and the customs of our culture. In this beautifully animated film we come to know about the ascendancy given by our forgotten ancestors and why it is so important to remember them. In this multi-generational tale of a Mexican family, Miguel has a dream of becoming the greatest musician like Ernesto de la Cruz. But music is considered as curse in his family. His grandmother Abuelita is very stern about this matter. Everyone have sacrificed the music, since Miguel’s great grandmother Coco’s father left the home. He had never returned back in fulfillment of the same dream as Miguel has. 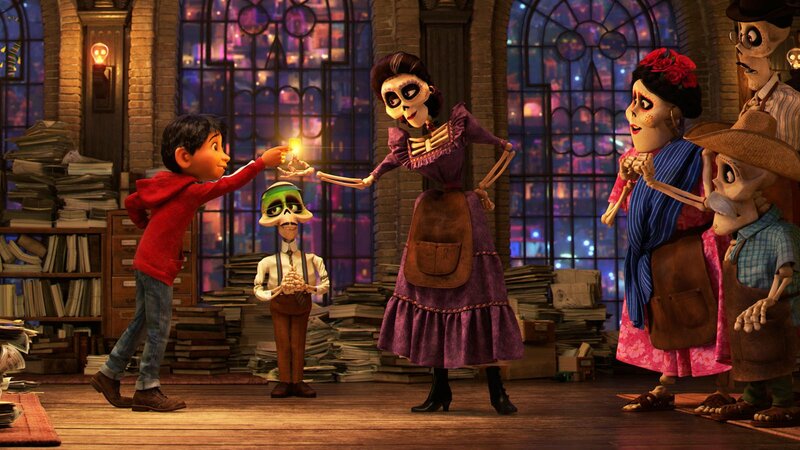 Unlike, any other stories of dreamers, in “Coco”, Miguel’s journey passes through many surprising paths and it ends with studio’s promising emotional twist. It makes this colorful and musical adventure heart-warming. Anthony Gonzalez’s voice of Miguel has worked stunningly. Miguel is the only reason, why music is still alive in his family. During his journey he came under that situation, where he had to make a choice between two things. Either he had to prove himself as a musician in the land of dead or to accept the blessing of his dead family to return in land of life by sacrificing the music. Héctor is the brilliant supporting character of the film. He tries to help Miguel in the land of dead. They both reveal the real secrets of the Miguel’s family history and the truth behind the curse. Like other Disney-Pixar films, Dante is another joyful animal character in “Coco”. The title itself is the most interesting part of the film. 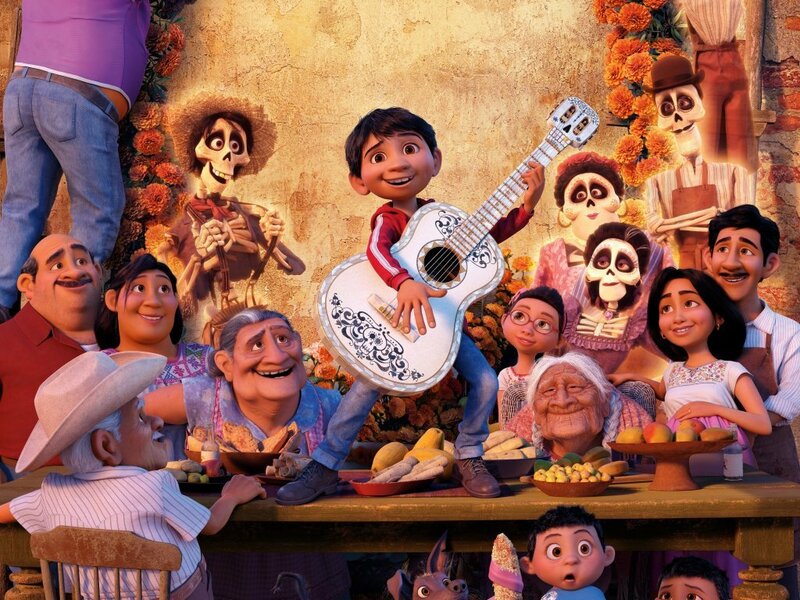 Though the film goes around the character of Miguel, it is amazingly left on character of Coco. Lee Unkrich and Adrian Molina have beautifully directed the film on the gorgeous story. Its narrative style is a bit similar to Studio Ghibli’s “Spirited Away”. But “Coco” has a perfect heart of Pixar’s unique animation style. The creation of Gothic environment itself is the most risky work the studio had ever done. Without any doubt they have made it vibrant and astounding. The film is the real winner in delivering its message on family importance. The final twist is literally heart-touching and it is the real reason why “Coco” needs to be considered as one of the best outcomes came out of Disney-Pixar studio. “Coco” indulges its distinctive narrative style with its shrill animation and the deeply moving story. Although the studio has great films like “Up” and “Inside Out”, the film proves that the studio has a lot more stories to tell effectively. Its experimental formula never loses the strings of fun and amusement. Real burst of happiness comes out from the eyes when the musical adventure dives in the colors of emotional wonder. No matter either you love or hate your family, “Coco” makes it sure that why you need your family and why your family needs you. 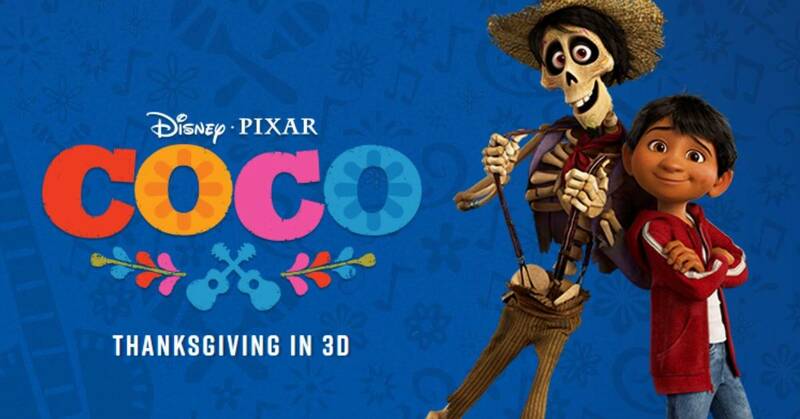 Conspicuously, Disney-Pixar’s “Coco” is the respectful film about Mexican culture and tradition. But more than that, it has a beautiful heart of a family relation that desperately needs the viewers’ attention to keep the togetherness alive. - From Surat, Gujarat, India. Successfully completed M. Tech. in Water Resources Engineering.